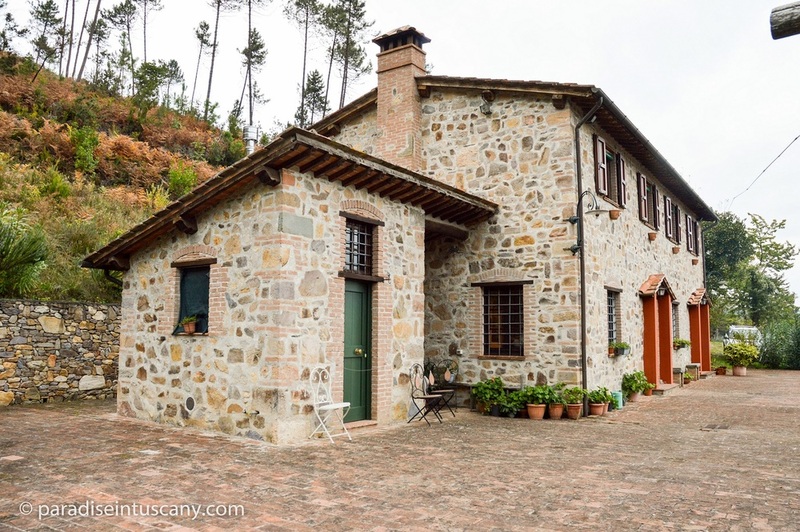 A private Tuscan Estate, including a refurbished farmhouse, original farm buildings with potential and extensive land comprising; olive groves, woodland and streams, with hunting rights. In total 30 hectares / 74.1 acres. Your own hunting estate, farm or nature reserve? Year of construction: 1800; Fully refurbished in 2008. Terraced olive grove with some 400 olive trees. Swimming pool in the olive grove. Possibility for ecological management of the olive grove. 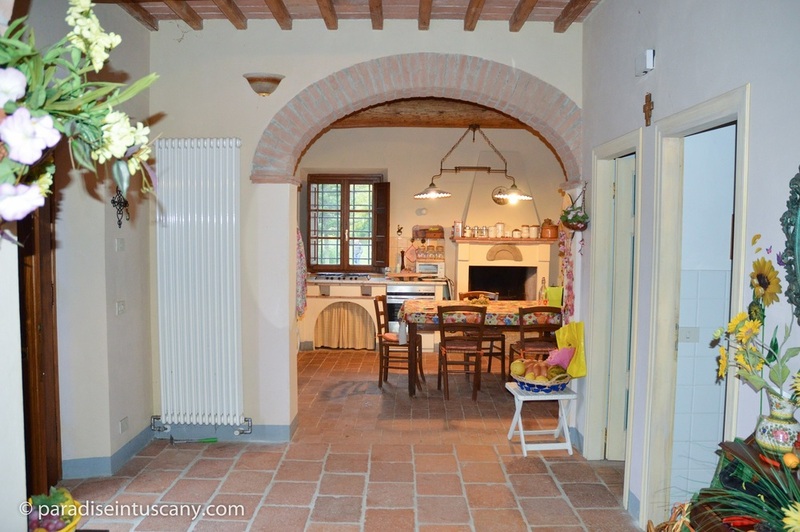 Typical Tuscan farmhouse halfway up a north facing hillside with a stunning view of the plains of Lucca and Pistoia. Thanks to its unique, withdrawn location and pristine microclimate, this property offers a very beneficial, pollution free and quiet environment – ideal to recharge your batteries. The property consists of two buildings, one still in its original state and in need of major restructuring, while the other - the main house - has been restored, utilizing original, high quality materials and modern building techniques. 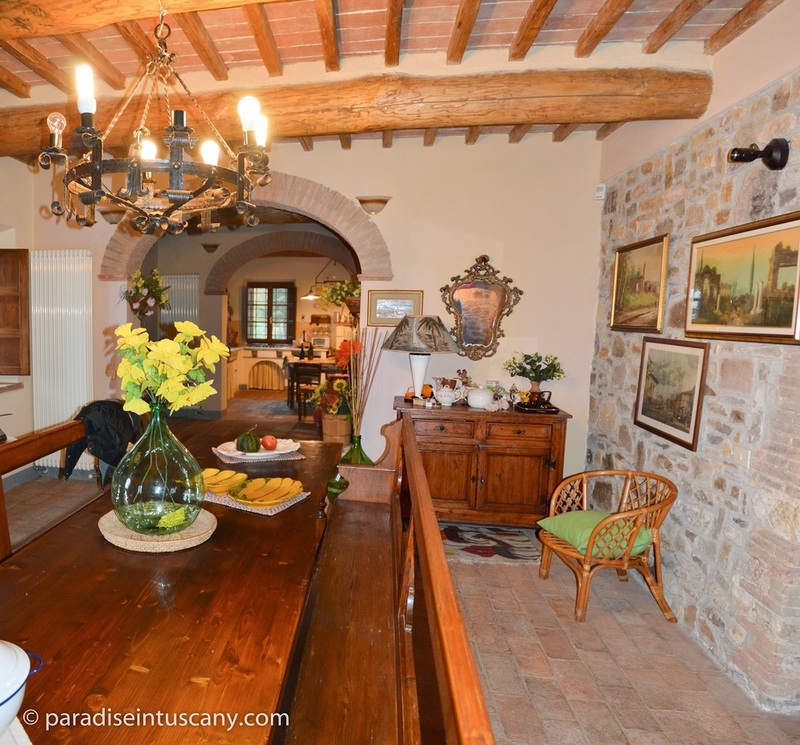 The main house is located in the center of the property with 30 hectares (74,1 acres) of land, encompassing both forest and olive grove. On the South side of the main house – still part of the building, but disjoint - there is a large scullery with a bathroom, a storage room and a wood fired oven. The spacious patio in front of the main house includes a cozy pergola for al-fresco dining and offers a most picturesque view of the valley. A very well kept olive grove consisting of about 300 olive trees separates the patio from the swimming pool. In all, there are some 400 olive trees in the property.